Frank Moscato is an experienced litigation attorney whose practice emphasizes professional negligence defense, insurance defense, and commercial litigation. He regularly defends licensed professionals - including medical doctors, chiropractors, naturopaths, pharmacists, nurses, and other healthcare providers - before their licensing boards or regulatory bodies. He has been regularly recognized in The Best Lawyers in America® in the field of professional malpractice defense, including being selected as “Lawyer of the Year” for 2011, 2013 and 2018 for professional malpractice law - defense for Portland, Oregon. Frank has over four decades of experience in representing legal professionals in state courts, and before licensing and disciplinary boards. With substantive experience in all aspects of professional liability defense, Frank is uniquely qualified to handle sensitive issues of confidentiality, the impact of the case on the client's legal practice, and the need to work closely with the client in developing practical solutions to ensure the best possible outcome. 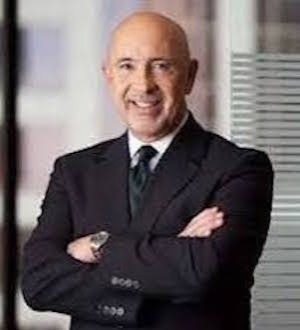 In addition, Frank is an accomplished speaker and has made numerous presentations to state bar, legal and professional societies, professional schools, and healthcare professionals on topics that include risk management, trial techniques, jury selection, the presentation of expert testimony, jurisprudence, and ethics. Since 1994, he has been an active arbitrator and mediator for a variety of legal matters.